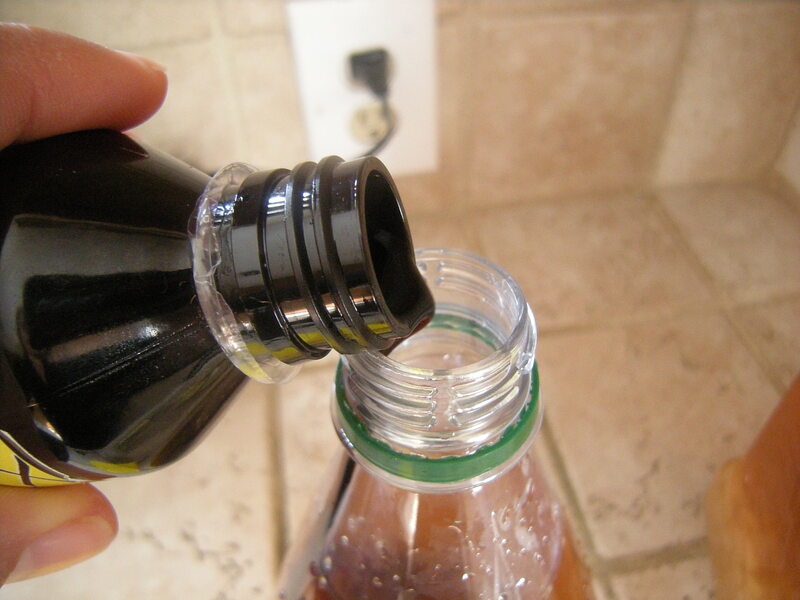 You can read past posts about this probiotic “soda” here, here, and here. I received a lot of questions and interest in the process of making Water Kefir Soda so I thought I would take you step by step today. 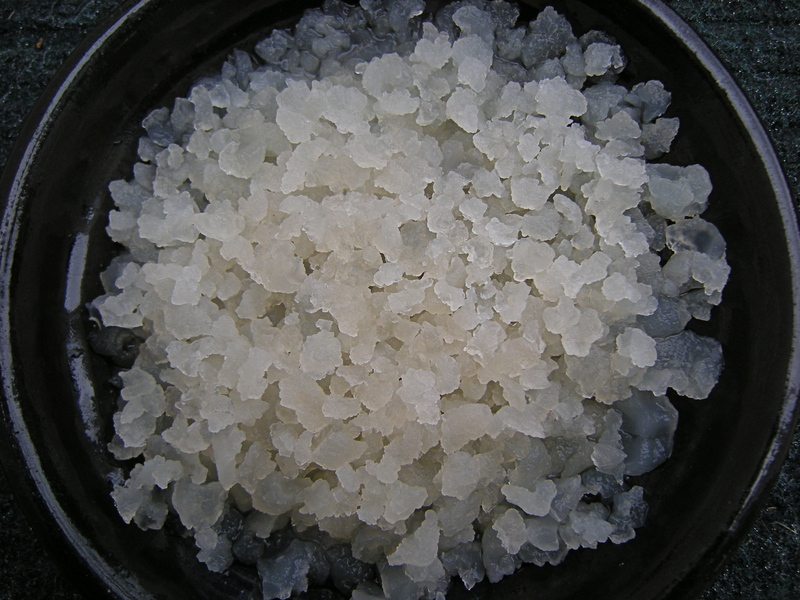 First thing, you need to get your hands on some Water Kefir Grains. I was fortunate enough to get mine through a random encounter but they can be purchased at Cultures For Health. If you purchase grains they will come dehydrated and the first step is to follow the directions to rehydrate them with sugar water. Once you have nice, fat, hydrated grains it’s time to start brewing! The chlorine of tap water and the charcoal of filtered water is bad for the (healthy) bacteria in the grains so I start by boiling just under 4 quarts of water (the size of my brewing container). 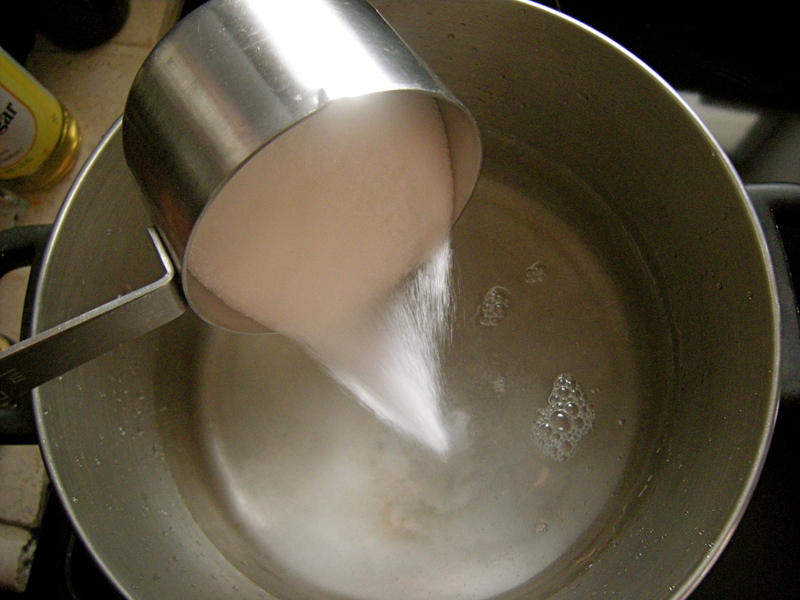 Boiling water eliminates much of the chlorine. Add 1/4 cup sugar per quart of water. Add 1 T molasses. 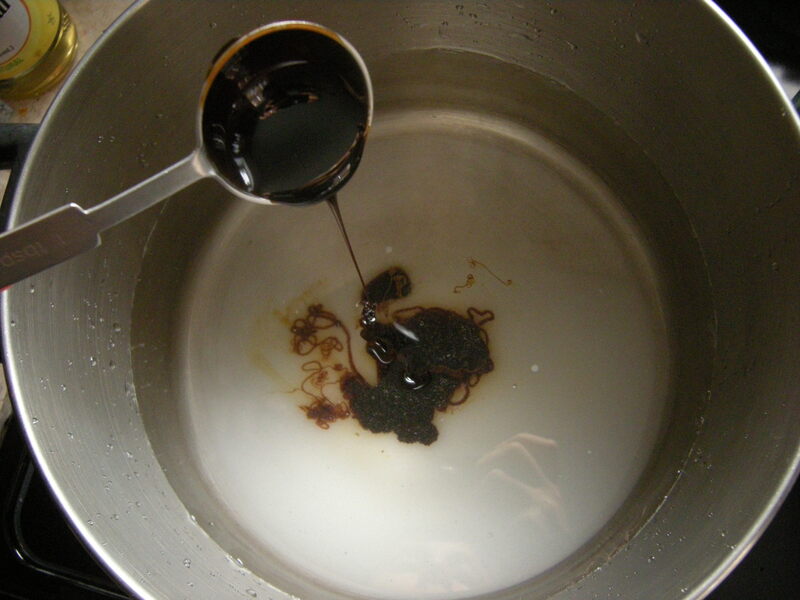 The molasses provides minerals to feed the grains so they stay healthy and multiply. 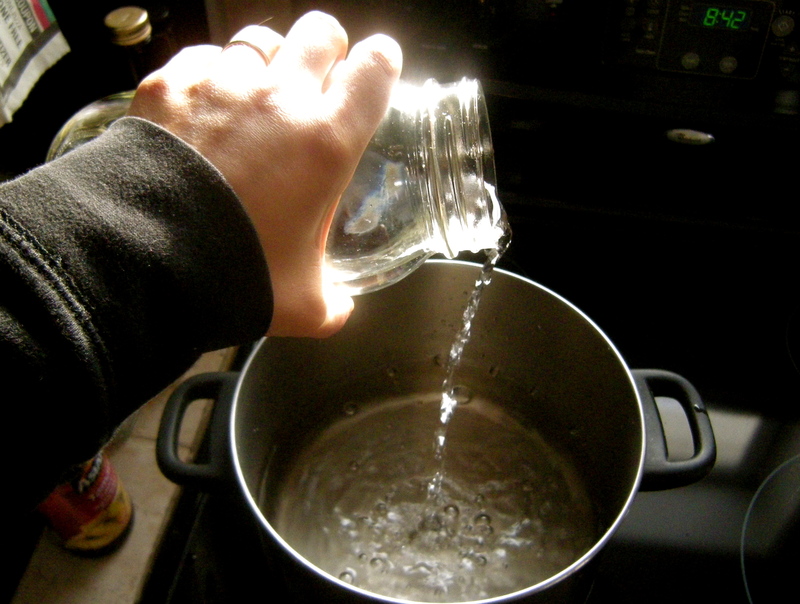 Once the water boils and the sugar dissolves, turn the heat off and leave the pot to cool to room temperature. 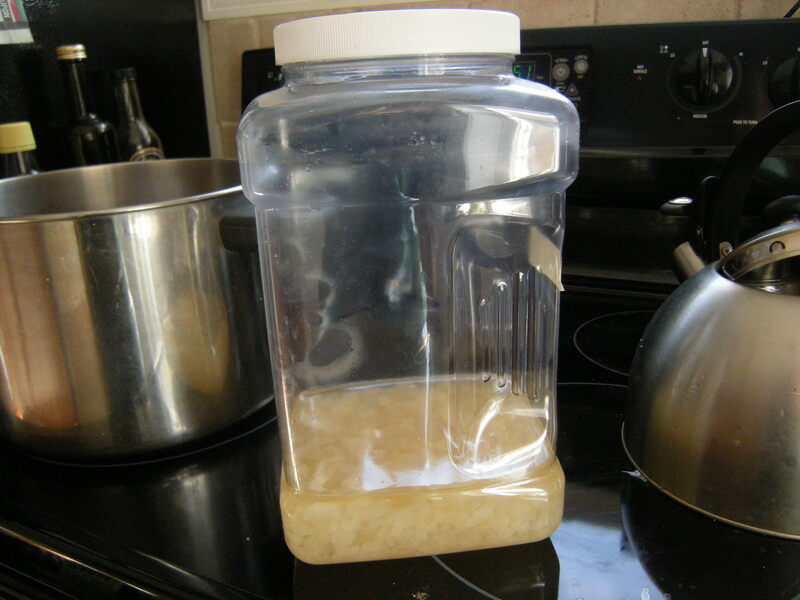 NOTE: Water Kefir Grains do NOT get along with metal and should never come into contact with it. 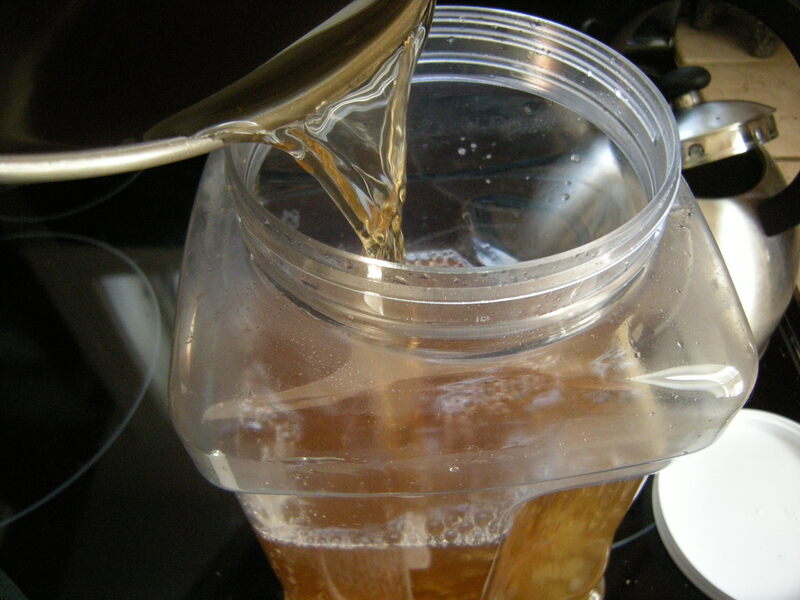 This is one reason I use a plastic brewing container, although a large glass jar would be even better. It is very important to use wooden spoons to stir the mixture and to avoid all contact between metal and the grains. Place in a quiet place away from direct light. I put mine on the cabinet shelf that is now dedicated to my soda. 24-48 hours later, time for the second fermentation and fun with flavors! I usually wait 48 hours because it results in a less sweet beverage but the health benefits have infused the batch after 24 hours. 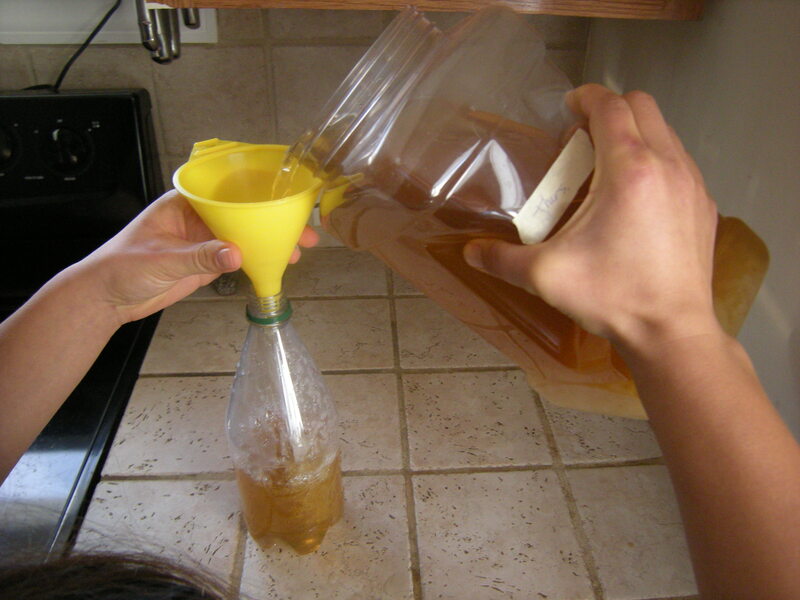 Pour into a clean glass or plastic bottle. I have a motley assortment of bottles in my cabinet but my favorite is to reuse Poland Springs or Crystal Geyser sparkling water bottles. The important thing is that you choose a bottle with a tight fitting plastic (no metal) lid, you want to trap the fermentation in so it gets fizzy! I pour slowly and the grains stay on the bottom of the brewing container. My only strainer is metal so this is the best method for me. 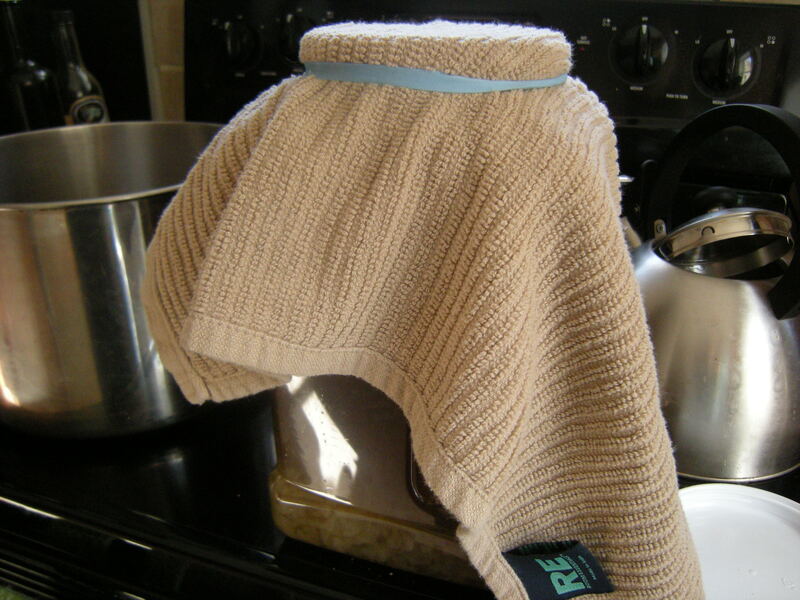 If you have a plastic strainer it might come in handy here. NOTE: If you bottle in glass you MUST check the carbonation progress regularly because the gas keeps building and could, potentially and eventually, blow the bottle. I haven’t had this happen but I check them every day or two. For this bottle I went with ginger-vanilla. This part is all about improvising and personal preference. 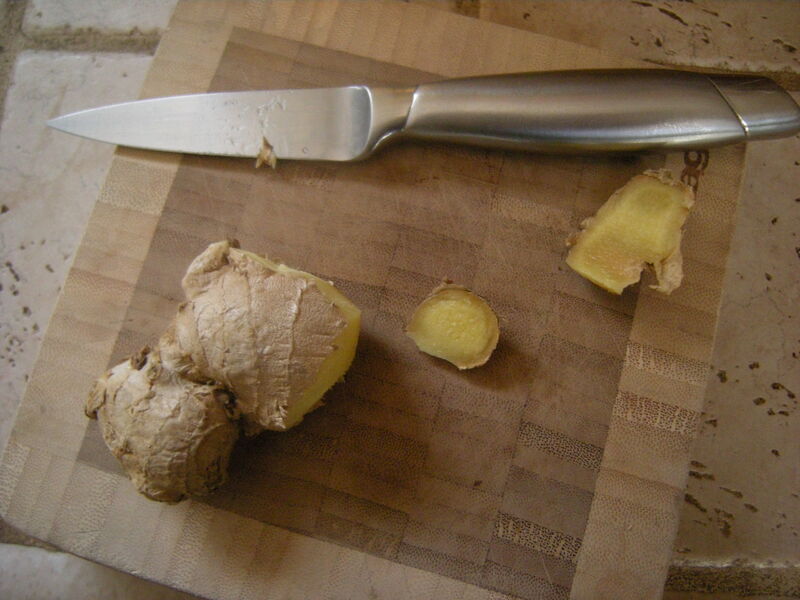 I love both ginger and vanilla and like that they don’t add any more sugar or calories to the final product. Screw the lid on tight and into the cabinet it goes! I will check the fizz after 2-3 days. Our kitchen stays pretty cool so it seems to take about 5 days for a nice amount of fizz to build up. 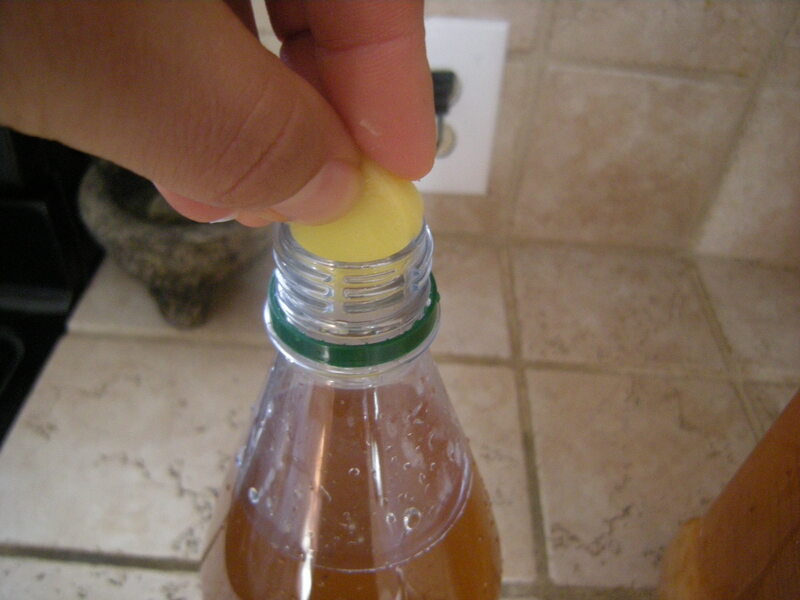 Once you’ve achieved the fizz of your liking you can move it to the fridge or keep it in the cabinet. 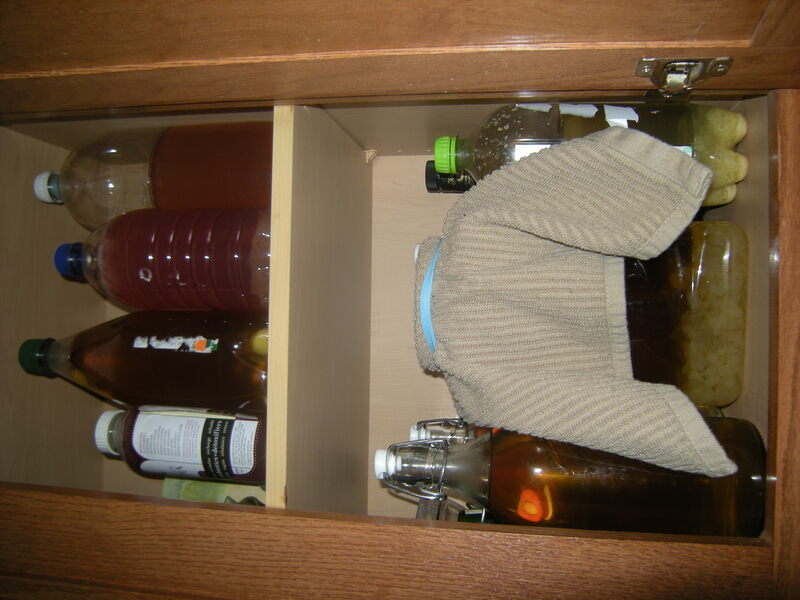 In the cabinet it will continue to ferment and become less sweet and more fizzy, in the fridge it will also continue to ferment but much more slowly. The grains are immediately ready to go again or you can store them in the fridge covered in a sugar water solution indefinitely. Each cup (8 oz.) 50 calories, more or less depending on your flavor add ins, and is packed with probiotics. NOTE: This is a fermented beverage and has trace amounts of alcohol, similar to kombucha. The alcohol level is innocuous, .01% or so but just wanted to let you know it’s there. There you have it! For those of you who expressed interest in buying grains, I thought that seeing the whole process may help you decide if you were interested in brewing yourself.